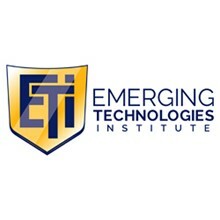 Founded in 1999, Emerging Technologies Institute (ETI) is a private career school, licensed by the New York State Education Department and nationally accredited by the Accrediting Council for Independent Colleges and Schools (ACICS). Our mission is to transform our students into professionals prepared to meet the demands of our ever-evolving work environment. Our goal is to be a private career school of choice for individuals wishing to earn a diploma, enhance job skills, or fill positions in the business and technology sectors. With the support of a highly qualified, experienced, and dedicated faculty, ETI offers postsecondary academic programs, in the classroom and online, to train students for entry-level employment and for career advancement opportunities in the fields of business and industry technology as well as business office information systems.